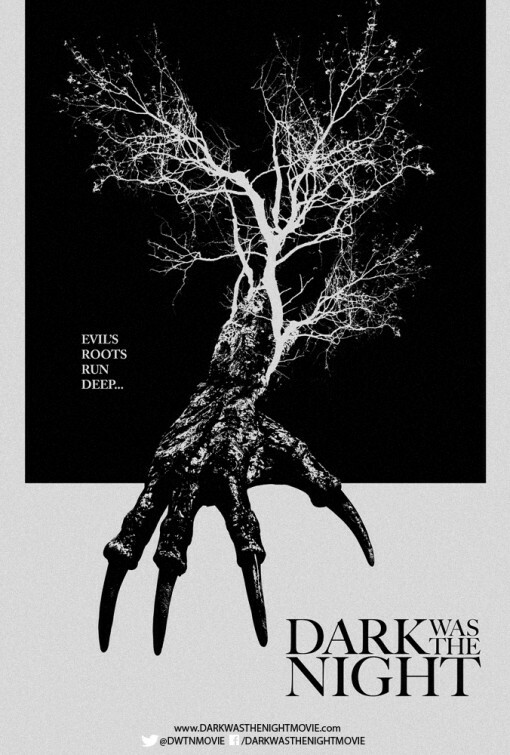 Dark Was the Night is the fifth movie in my quest to watch 31 horror movies in 31 days this October. I had never really heard of this movie, but a high rating on Netflix Instant Streaming and a quick peek of the trailer on YouTube later, and there I was, settling in for the night. This is probably my favorite part of the SHOCKTOBER 2015 movie challenge - I haven't really written anything down, there is no plan, and I've been quite content to just sort of choose a film to watch. 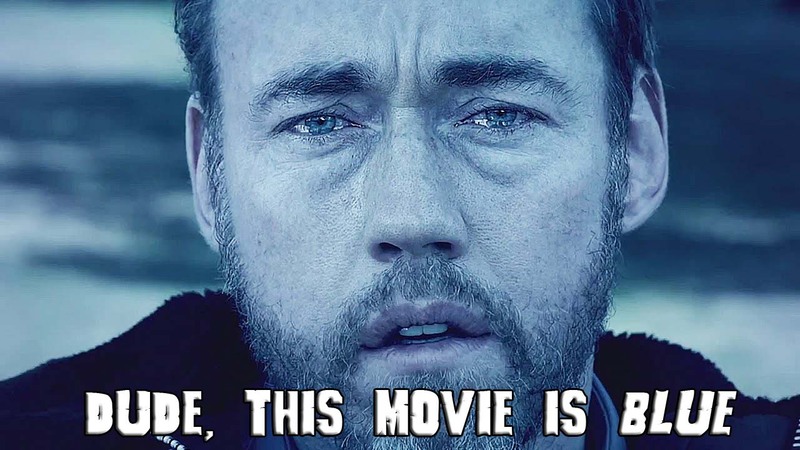 The plot of the film follows Sherriff Paul Shield (Kevin Durand), distraught from the recent loss of his young son, as he investigates animal tracks and creature sightings in his small, isolated town. Durand gets to express his acting chops a bit as the mourning father, and that subplot provides a human element to the film that facilitates investment into these characters. It's a smart choice as, after all, most good monster movies are really about the people first. The focus on the characters, combined with the filmmakers' decision to keep the monster in the shadows, makes for a film that is more of a slow burn as opposed to the types of kinetic creature features that you more commonly find on the SyFy Channel. You probably already know whether or not a film like this will appeal to you. It's not a fun film, per se, but I certainly had fun watching it. That said, I did appreciate the old school approach, keeping the creature out of shot for much of the film. This works well to build suspense, and the pay off when the creature is revealed at least approaches satisfying. The actual creature effects aren't the best CGI you've ever seen, but they are perfectly serviceable for the needs of the film's climax. I think I would have been more pleased with the creature design if it had been more outlandish. 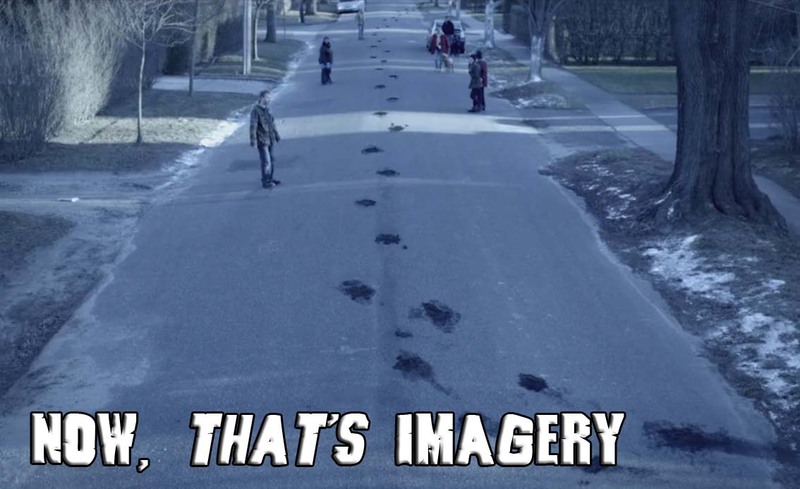 Based on the movie's title card, and the wide gait of the creature shown as tracks earlier in the film, I was sort of expecting a more tree-like creature, something more like a malevolent ent. Reflecting, I guess it is possible that maybe the creature was tree-like; perhaps the skin did have the texture of bark. Still, I'm really not sure. 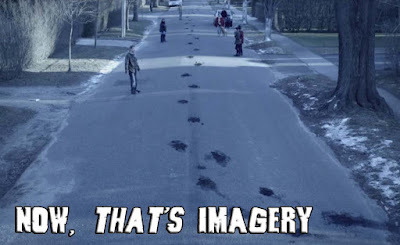 My initial impression was that the creature was more reptile-like. If you watched the film, let me know your thoughts on the nature of the monster in the comments below! 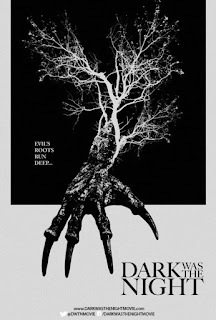 All told, Dark Was the Night was a good way to spend an hour and a half, particularly if you enjoy slower paced films. I must admit it was refreshing to watch a film that took itself seriously, as this isn't too common in creature features these days.